When in Spain, shop at Zara! 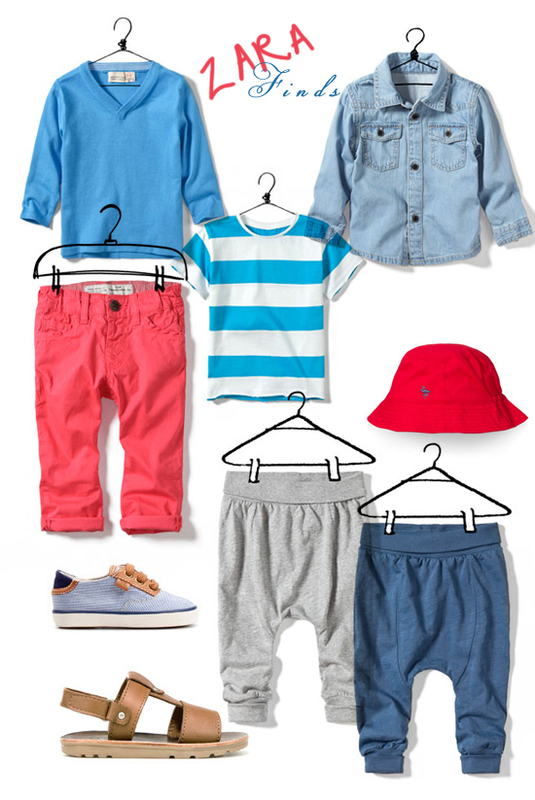 Zara has such adorable baby and kids clothes. We have Zara in Sweden too, but whenever I am in Southern Europe I make sure to get some time at Zara. They have the best selection and prices in Spain. For this trip I really wanted to see if I could find some fun stuff for the new nursery at Zara Home, some cute baby clothes for Little A and Baby #2, and some maternity stuff. We only ended up making it to Zara Baby and here is all the cute stuff we got for Alec. Adorable harem pants (in two sizes since they are so cute and comfy-looking), little summer shoes and sandals. Coral-coloured chinos with a matching blue t-shirt and v-neck sweater. A sun hat. A denim shirt.